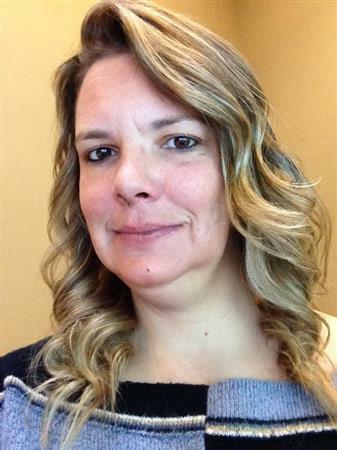 Julie Delaney is the Marketing and Communications Director for the Ronald McDonald House Charities of the Inland Northwest. She was born and raised in the Tri-Cities and moved to Spokane to attend college and stayed after meeting and marrying her husband. They now have 2 boys who are 14 and 16 yrs old. She has been in the non-profit arena for almost 20 years and has been with RMHC for the past year and a half. Julie personally understands the importance of the mission at the Ronald McDonald House after having their second son, who suffered from health issues that required many hospital stays in the first 7 years of his life. In her role as the Marketing and Communications Director she works closely with current families and alumni to tell their stories and experiences while staying at the House. Sam is encouraging everyone to attend the Arbor Day festivities on the 27th. Our Club purchased the ceremonial tree that is being planted for the city's 25th Tree City USA designation. 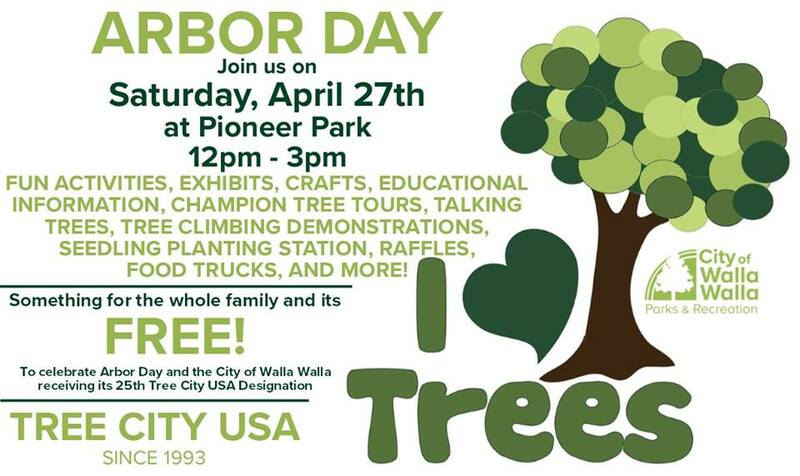 There will also be a surprise that the city of Walla Walla will showcase that was crafted with one of our local artisans! It sounds like a wonderful day to celebrate the trees that our Club has helped plant over the years. 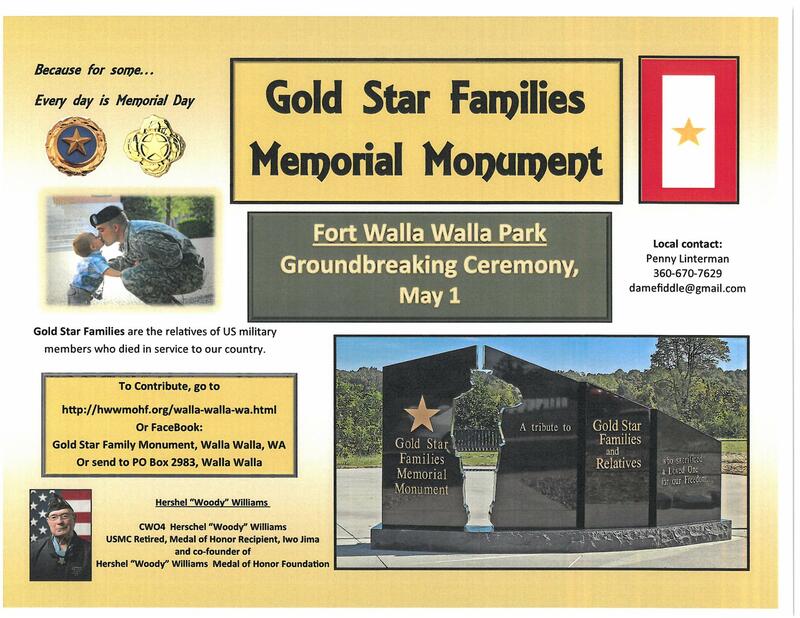 Todd has shared news of the groundbreaking ceremony for the Gold Star Families Monument and two fundraisers for the monument to be held on May 1st. Please see flyers for information. I can email them to anyone who needs a copy. Our April 4, noon meeting was used as a special fellowship time raising funds for Rotary’s Polio Plus Campaign. A kitty bank was resurrected from Terry Teske’s attic to play a central role in a skit performed by James Hayner, Doug Bayne, and Scott Krivoshein. Terry first used the Cat statue during his presidency in 1995 to raise dollars for a Paul Harris by numbering all the tables, drawing a number and then asking Rotary trivia questions. If a table couldn’t provide the corr...ect answer, they paid a fine which went into the kitty. At the end of the year it was opened to find nearly $1,000 as well as 4 live baby kittens delivered by Veterinarian Jim Hobkirk! 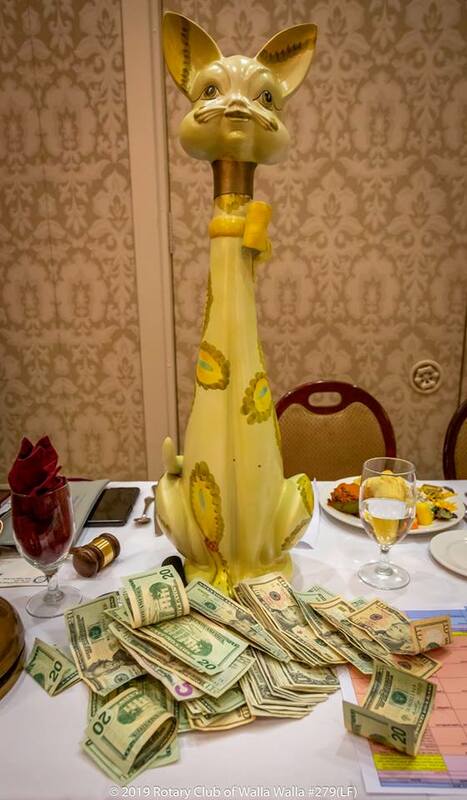 This year we will be collecting money for Polio Plus as well as exonerating Doug Bayne from “improperly stealing a cat for nefarious purposes.” We will open the kitty at our annual meeting and deliver the proceeds to Rotary Plus. At the end of the 2nd week we stand at $1,568 raised! Hoping to reach $2,000 by the end of June. June 6th – take us out to the ballgame! Our meeting that day will be offsite. Come to Borleske Stadium and watch our Walla Walla Sweets play ball against Corvallis. Gates will open at 10 a.m., first pitch at 10:35 a.m. Food will be available beginning at 11:30 in Sweet Spot at the ballpark. Your attendance to this game is already covered, as part of your dues. 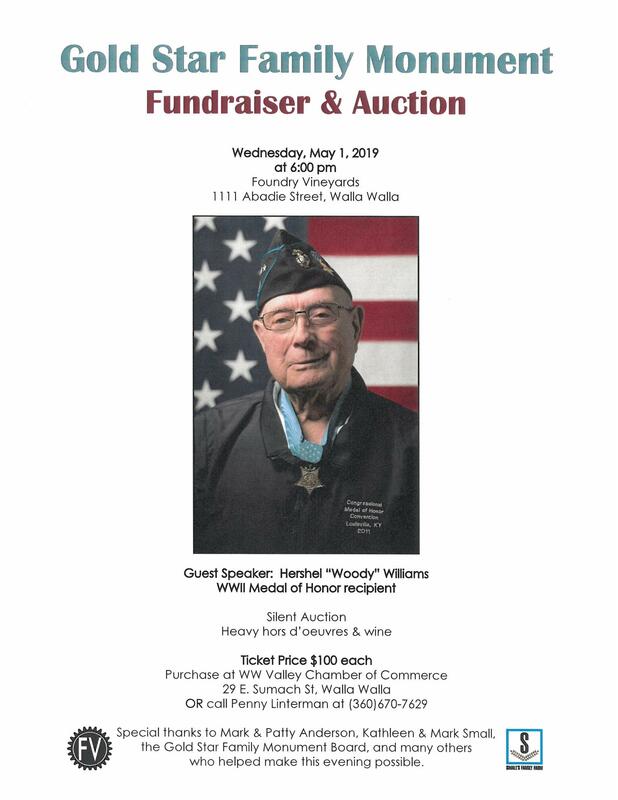 You may bring additional guests for $15 per person. What a great deal for ballpark food and informal fellowship on a spring day with our local team. Play ball indeed - Come join us! 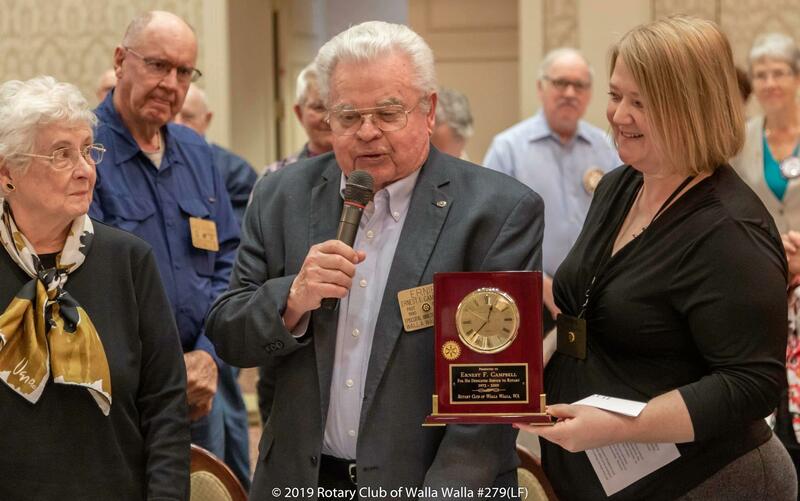 Ned Morris (left) received Paul Harris recognition from Rotary Foundation Committee Chair Katherine Miller (center) at our April 11, noon meeting. Your financial support for Rotary Foundation projects worldwide, and the volunteer labor you contribute to ShelterBox projects following major disasters in hazardous regions of the world are truly outstanding. Thank you, Ned! 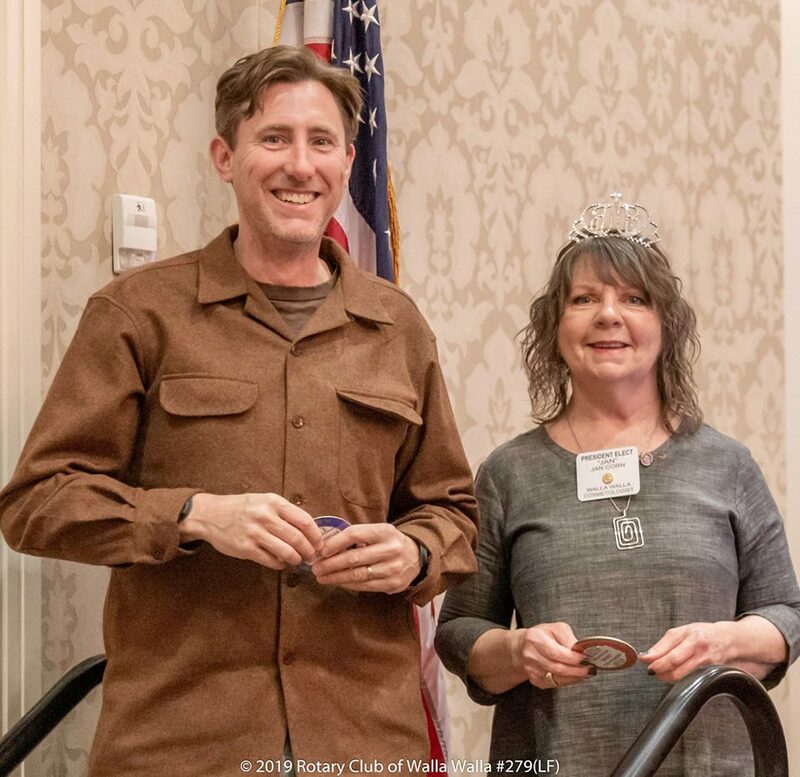 Bradley Wearstler (left) received a Blue Badge by President-Elect Jan Corn (right) at our April 11, noon meeting in recognition of his commitment to serving Rotary’s mission of changing lives in the community. Thank you, Bradley! 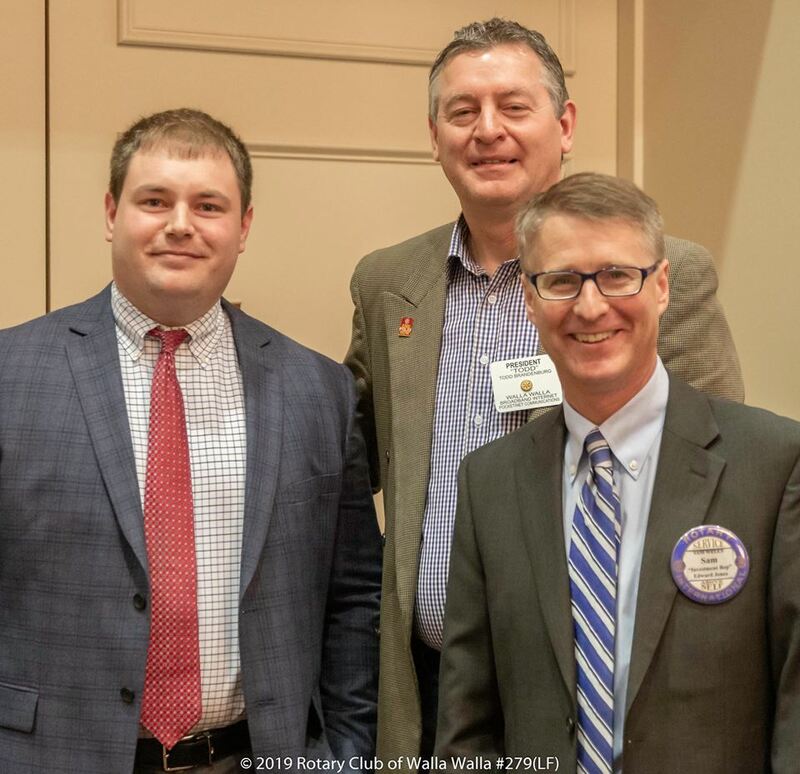 Chase Hessler (left) sponsored by Sam Wells (right) was brought into membership at our April 4, noon meeting by President Todd Brandenburg (center). Chase is a native of Walla Walla, and except for college, has lived here all his life. He is a Financial Advisor for Edward D. Jones and is looking forward to serving the community with us. Welcome to our Rotary family Chase! Ernie Campbell has been a member of this club since December of 1972. During his time in this club, he has been President between 1990-91, has received the Rotarian of Merit in 1999 and is a Paul Harris +1 member and Don Sherwood Fellow. Originally from Winnetka, Illinois he is an avid Chicago Cubs fan, he has endured many heartbreaking moments through the years. But always the optimist, they finally came through for him. He is also a big fan of Northwestern University. He has been married to Margaret for over 63 years, they have four children. 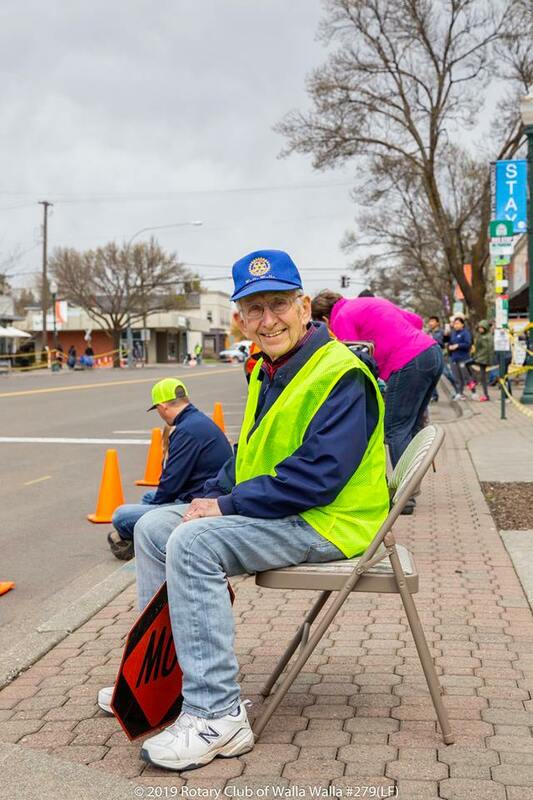 Since moving to Walla Walla in 1969, he has been the Rector and now Rector Emeritus with the St. Paul’s Episcopal Church. For 50 years he has been there for the spiritual needs of his congregation through good times and bad. The parish hall at the church is even named in his honor. Interesting fact, he has been a Carmen Miranda impersonator throughout much of his life. In high school he wanted to support the war effort, so he would go to the naval hospital to entertain the troops. He wore a sarong and head dress and would lip sinc her song. You can’t choose your neighbors and unfortunately for Ernie, Doug Bayne is close by. Doug made the point of telling Ernie’s Bishop when he was visiting that it was good to see Ernie sober so late in the day. Doug commented that Ernie’s two little dogs must not be church going, as they are often bark at his dog without provocation. Although he may not be able to move as fast as he once did, he has stayed involved in the club activities throughout the years. 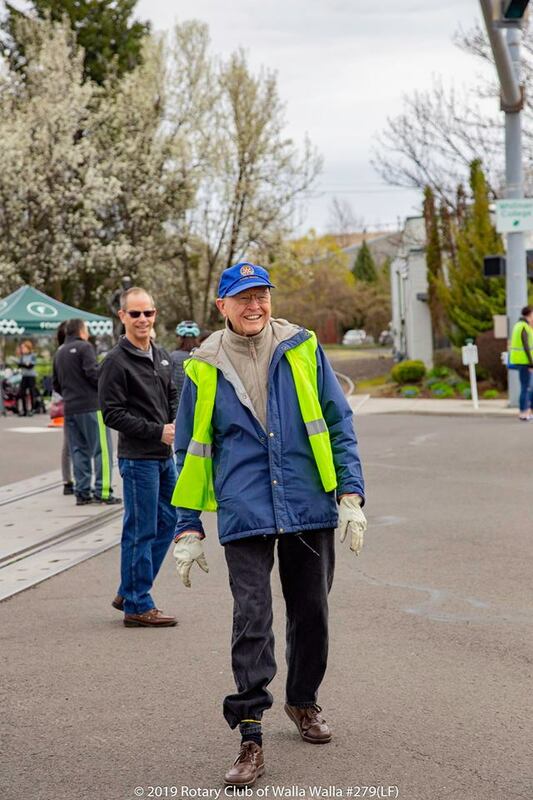 He was always there in his blue vest ready to help out whenever her could. 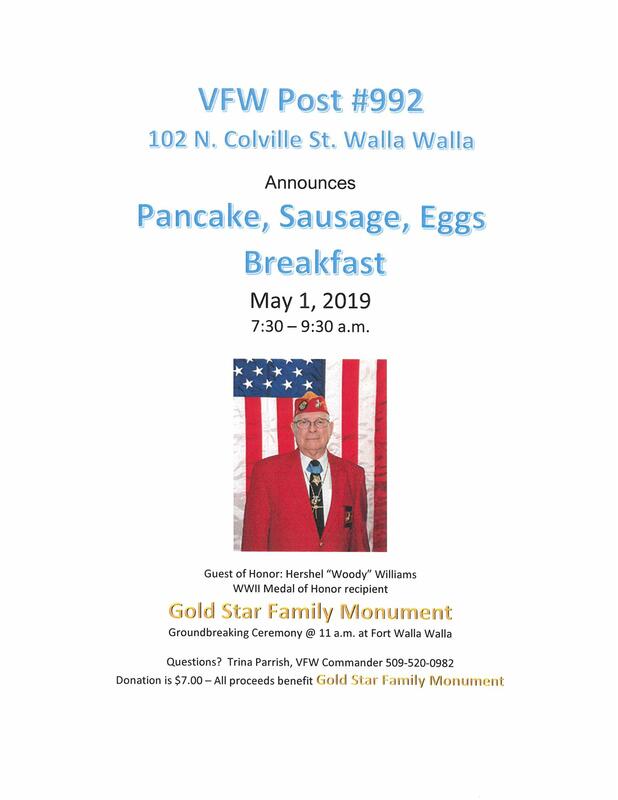 We honor his service to the community and to the club with the Honorary Rotarian Award. As you have heard in past club meetings we have been looking for capable replacements for the positions of Secretary and Treasurer. Well, I have good news! The Succession Committee recommended to the board two names on Monday, March 18, 2019. 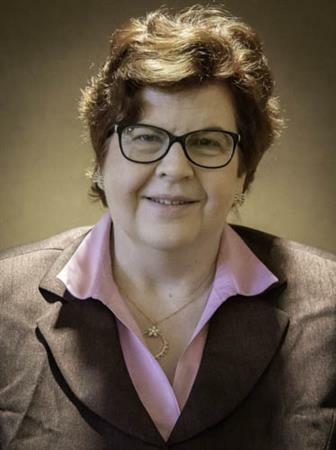 The board accepted the recommendation and voted JoAnn Brewer as the new upcoming Club Treasurer and Becky Roberts as the upcoming Club Secretary! I personally want to thank the past presidents for their hard work on this committee and believe we have two outstanding volunteers that indeed have the best spirit of Rotary. So congratulations JoAnn and Becky! 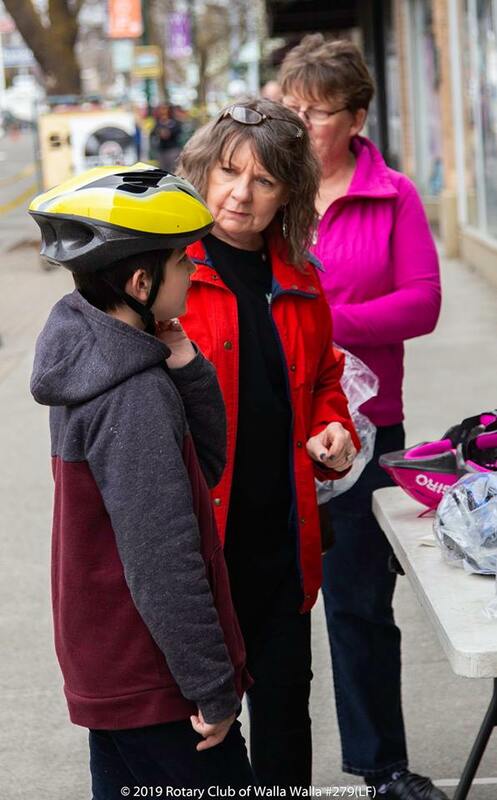 They will start to be trained by our very capable existing Secretary and Treasurer, Terry and Evelyne Teske and will officially take office on July 1st at the club. I also want to take this time to thank Terry and Evelyne for an outstanding job of service to this club for many many years! You have set the bar! So please greet and congratulate JoAnn and Becky when you see them next. I want emphasize that these positions are indeed volunteers for the majority and their contribution to serve should be praised. I personally look forward to their service to our club! Welcome to the Family of Rotary (yet again)! Tour of Walla Walla a success! The races are over. The racers and their families were fed. Our Rotary Club and Interact Club ROCKED!! We don't have info about the money raised yet, but we do know that our members were out there in the cold, the wind and the rain to keep the racers safe and did an excellent job! Thank you to every single person who helped in some way during this event. We appreciate you! 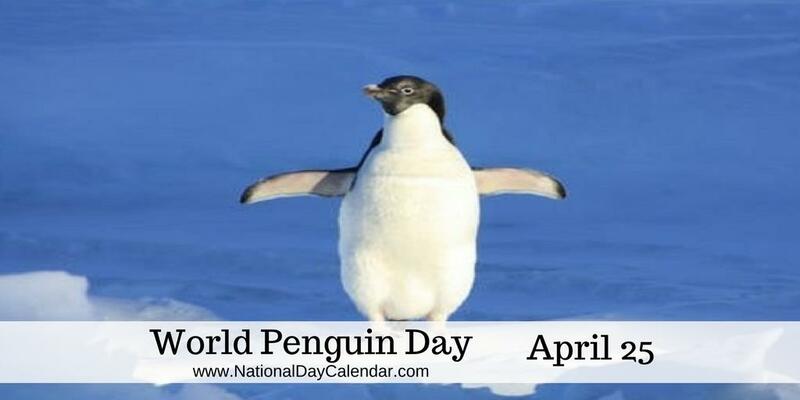 Thursday the 25th is World Penguin day! There is a mobile app available for our phones if we choose to download it. 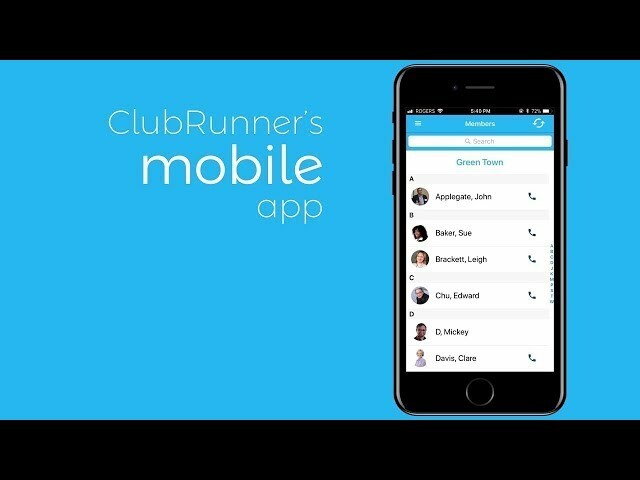 The app provides a member list, upcoming programs, district information and many other resources. 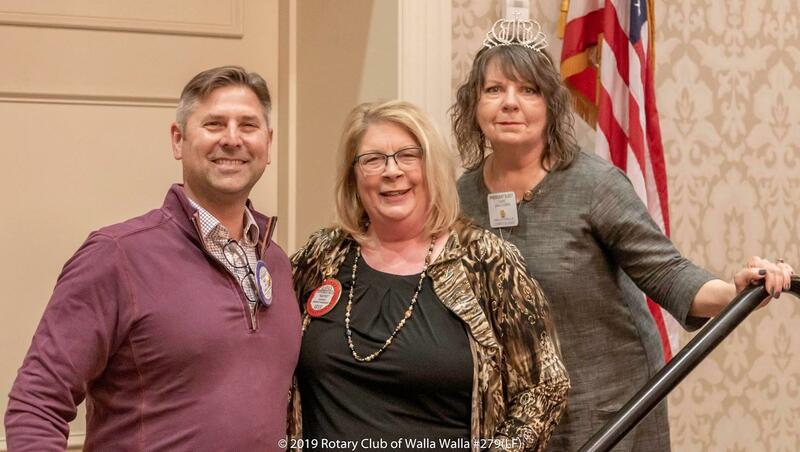 All Rotarians are welcome to attend Rotary Board of Directors Meetings at the Marcus Whitman Hotel on the 1st and 3rd Monday of each month, from noon to 1 PM. It’s a good way to complete Blue Badge requirements or make up a missed meeting. The group meets in the board room on the second floor. 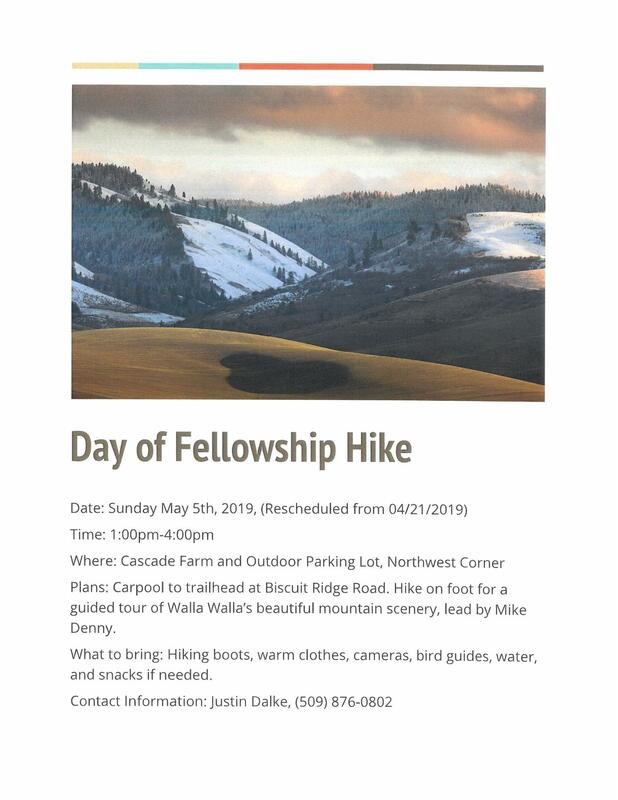 Our next meetings will be held Monday, May 6th and 20th. Attendees do need to order lunch in advance, if they choose. Contact Chris at dosm@mwhcc.com for the lunch menu and to place your order. The $15 fee can be charged to your Rotary account.